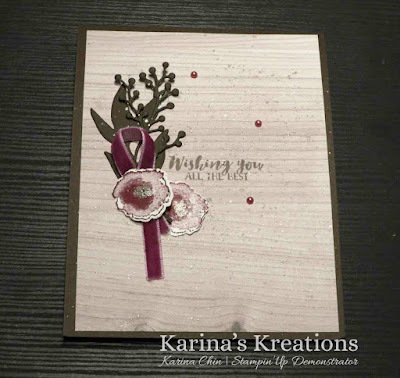 Karina's Kreations: First Frost card! 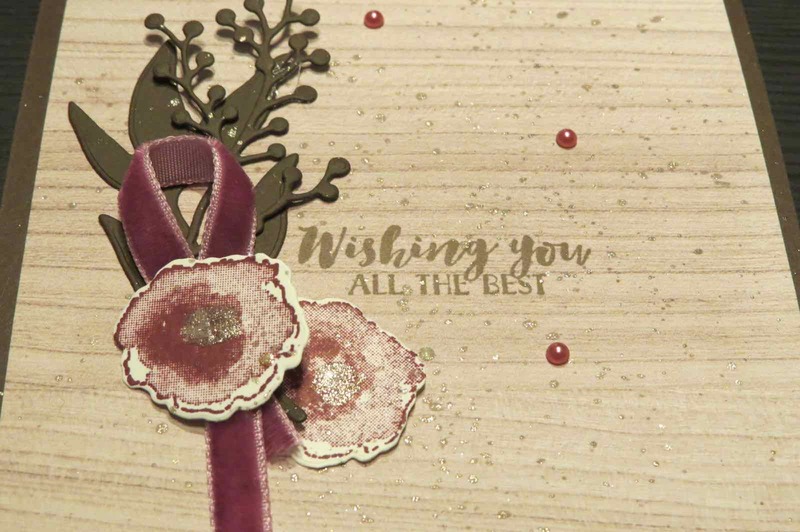 I love using the First Frost stamp set with coordinating framelit dies. This set is perfect for techniques. 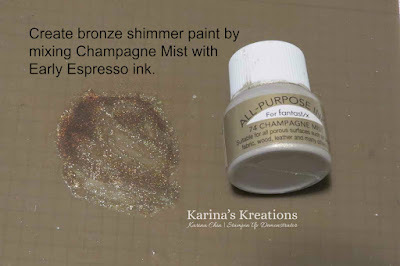 Did you know you can make Bronze Shimmer Paint? Mix Champagne Shimmer Paint with a drop of Early espresso re-inker. Spritz lightly with water and it's ready to use. I flicked some color on my card using a paint brush. To order the products to make this card, please click on a picture below.